We work our entire lives, many times spending well over 40 hours a week. Missing time with family and friends with the hopes that one day, when you’re older you will retire. You will no longer have to worry about going into work, no more canceling plans because that meeting went late. You’ll be able to relax, spend time with your family, maybe even travel! I’m sure this sounds dramatic and absurd! You would never bet everything you’ve worked so hard for on one thing, but yet this is what many people are doing. A little at a time, placing a piece of their paychecks into a qualified plan that they don’t fully understand and is not guaranteed. Many find themselves under a false presumption, assuming that their 401k or IRA is guaranteed, and even more, guaranteed to grow! Ensuring that when they decide it’s time to retire they will have plenty of money to live off of. Unfortunately, that isn’t the case. Qualified plans don’t offer guarantees and are victim to the ups and downs of the market. It’s no wonder that the number of consumers who are confident in their retirement have gone from 83% to 17% in less than 35 years! So what has happened in the past 35 years that has caused this drastic onset of insecurity? I believe it boils down to one thing; the loss of a guaranteed retirement plan. 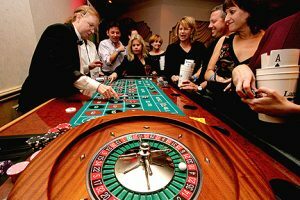 With a guaranteed retirement plan, such as a pension, the company was the one at the roulette table. They carried all the risk, because whether they hit it big or lost it all they were on the hook for your retirement. When the pension (which is not as common today) and other plans like it, were replaced with qualified plans, it did one specific thing. It shifted the risk of investing onto the consumer, it shifted the risk onto you, taking away that guarantee. But before you think all hope is lost, it isn’t! Although we can’t force companies to start pensions back up, there are still ways to have guaranteed income in retirement. Think of it like a personally funded pension plan, one that you can tap into as the years go on. The type of account that many wealthy individuals like, Walt Disney and J.C. Penny have used; an account that many banks like Bank of America and J.P. Morgan use. An account that YOU could use! Don’t gamble when it comes to your financial future! Let the team at Crystal Clear Finances help provide the clarity needed to help you create wealth!